Search engine optimization involves creating an optimal set of circumstances, metrics and conditions to produce viable shifts for specific keywords in search engines. Google is the most sophisticated search engine ever conceived. Hence, providing its scrutinous algorithms with ample relevance and topical structure is a quintessential step towards acquiring a crowning position in the top 10 results for desirable keywords. 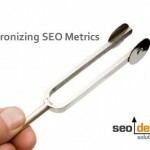 Understanding the vast array of SEO metrics required and catering to them with their accommodating antidote is what differentiates which websites occupy favorable conditions and those that are virtually ignored by search engines. If you had to start fresh, what are some great SEO tips to start the SEO process for a new website? Target the market (not just a keyword) using keyword research. Start with a great domain or use sub domains to gain traction. 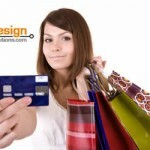 Implement keyword-rich site architecture and naming conventions based on how competitive the keyword is. Understand the tipping point for relevance and the content threshold required in order to make a dent in the SERPs. Use internal links tactfully in tandem with off page inbound links strategically to spread link equity strategically. Attract and or / build links from a variety of sources to provide deep links. Syndicate content and create a buzz. One of the biggest mistakes is to think too small or get into the game out of shape and expecting to magically make your competition disappear. The first thing you should do for a campaign is conduct keyword research to identify the various nodes of relevance within a market. The keywords you target all support a type of algorithmic ecosystem which support each other through their semantic ties. Search engines predicate ranking based on these inherent relationships and use that context to assign relevance score to your individual pages. In plain English, this means, the more aligned and relevant the connection between the content and the keywords employed on various pages as a whole, impact individual keywords ability to rank. If I am targeting the keyword dove hunting for example, I can also structure subfolders, navigation and create content for other types of hunting such as duck, pheasants, etc. as well as GEO target based on country or region by using cues of relevance for the on-page SEO elements to garner rankings. Since “hunting” is the theme, I should get a domain or amend my domain using the next tip to leverage that root phrase on the domain level (aside from using keyword-rich naming conventions and subfolders). With the same energy it takes you to rank for one keyword, you could have ranked for dozens, if you understand the common semantic thread that runs through their meaning as well as how to properly use modifiers, prefixes and consumer search behavior. Names matter and “exact match domain names” still carry lots of weight in search engines. Specifically if you wanted to target a keyword, you can acquire a domain that has all or a portion of those keywords in the domain to cut the time to the top 10 down (if you leverage additional ranking metrics) properly. If you wanted to rank for “debt settlement” for example, and you acquired a domain like debtsettlementproviders.com – you just shaved months off of an SEO campaign to gain traction in that industry. Depending on the competitiveness of the market determine how hard you will have to work to get past the competition, but there is inherent value in (a) starting with a keyword-rich domain or (b) adding a keyword rich-prefix to the domain using a subdomain. If you add a subdomain to your website i.e. keyword.yourdomain.com , it will be treated as its own theme within the site. The purpose of this tactics is to play into its strength by using topical content based on that keyword cluster to populate domain authority, link equity and acquire rankings for various stemmed keywords contextually surrounding the theme. You can always tie that subdomain back to your root (main) domain via strategic linking from individual pages to augment rankings for specific keywords or key phrase combinations. Based on your preliminary research, you will have a “competing pages metric” to base which keywords are part of your main site architecture and which pages / keywords branch from the root phrases and require augmentation. Each corresponding keyword’s competitiveness can then be mapped out for its “barrier to entry”, which you can then reverse engineer a required content development and website promotion strategy that embraces that metric. We do this internally for each of our campaigns as part of our SEO services, however, the basis remains the same regardless of industry, website or niche. The only variable here is (a) how favorable those metrics are at the present time to search engines and (b) how many competitors have authority for those same metrics and have either beat you to the punch and are ahead of you in line, or are grandfathered into the results you are targeting. Either way, there are solutions to increase SERP penetration or dial in specific buoyancy for individual keywords, depending on what is required at the time. Then if you build internal links to that page with the same variation of “exact match” keywords or stemmed variations “including synonyms, modifiers or related keyword clusters”, that page can rank for any / or all of the keyword variations as a result of the recurring continuity of SEO metrics that exist. Each keyword has a threshold, based on that threshold of how many competitors are targeting that keyword, how authoritative they are and how much content, traction and links they have all affect this tipping point. You may need 50 articles, 25 deep links from other sites and 100 internal links for a competitive keyword to gain traction. 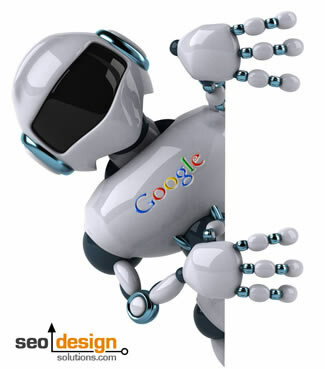 Much in the same way, once your website establishes a relationship with search engine spiders (as a result of producing frequent/quality content) you will directly be able to bypass the long process of waiting for your website to get indexed and start ranking for the keywords prevalent on those pages. Using a content development plan, you can (a) target multiple keyword variations and (b) develop domain authority which is a precursor to dominating a niche, market segment or industry as a result of the popularity, visibility and authority your domain acquires. I cannot emphasize enough just how important is to connect relevant pages within a website with internal links. Different links pass a unique quality and quantity of link flow from page to page. By theming your internal links (so they are all consolidated to a specific landing page, you take chance out of the equation and specifically provide a pecking order to your pages and which pages rank for what keywords. Off page ranking factor a.k.a link building can be accomplished through a variety of methods. Ultimately there are multiple methods for driving traffic, but not all traffic is created equal. You can use blogs, directories, press releases, RSS syndication, affiliate offers, create widgets or software or just be popular to attract and / or build links for your domain. Depending on your business model and the competitiveness of the keywords determine the extent of the tactic you employ to offset the existing occupants targeting the same keywords. There are two schools of thought regarding link building (1) build quality content and hope people find it or (2) build quality content and aggregate it through a variety of methods to promote inbound links to your website. Personally, I prefer the latter. In either case, you will need link diversity and IP diversity. This means you do not want all of the links going to one page, from (one site) or a close range of sites hosted on the same servers, and with a variety of anchor text to create buoyancy for various keyword arrays. In other words, don’t automate syndication if at all possible, it leaves an ugly trail which can get your site into hot water if it is blatantly abusing scripts or played out methods that are not “natural”. Social media engagement is always a plus, since it can reach new audiences through the viral nature of the exposure. All it takes is for one person to submit it to another person in their list of related friends and like a daisy chain, it reaches a power uses and a deluge of traffic ensues. This is just a brief overview, as each of these areas could constitute a book, video and course, but at least this should provide a starting point for what matters and which metrics to combine to get ahead in search engines. 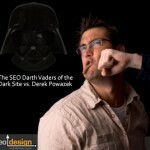 SEO or Web 2.0 Internet Marketing? 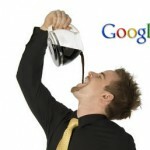 Will Caffeinated Results from Google Stir Up Search Results? 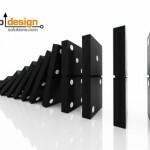 SEO Dependency – Do Your Rankings Rely Too Much on The Home Page? Need More Search Engine Trust? Link Out! Vou testar um dominio assim! Yes I agree with your set of information. Unique content is the key to successful optimization. 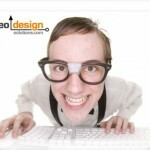 One should try to adopt illegal SEO techniques to boost the performance of the website. You should always try to go for good and legal SEO techniques. Thanks for sharing this informative article, it was really useful and insightful. Keep up the good work! A very useful and informative post. 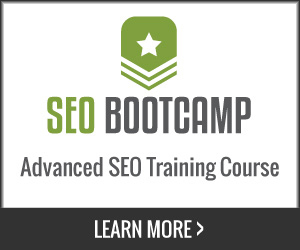 Google tips are certainly a guidebook for those SEOs out there. Hopefully, these tips will work out for them. I’ve been lurking on your site for a while and appreciate the obvious thought and effort that goes into your work, but I have to admit that occasionally your posts zoom far above my level of comprehension. Can’t you achieve optimization simply by regularly adding quality content chock-full of relevant keywords, getting linked to from other sites, and simply awaiting the gradual improvement of your page ranking by virtue of participation and interaction in the blogosphere? Feel free to laugh at my naïveté (quietly, anyway), but unless you are chasing the unicorn of having your website pop up first when someone googles a particular word (e.g., “lawyer”), it seems to me that your greatest friend is time, and you just have to put grandiose thoughts of instant gratification out of your mind. Or can you really have it all and rank numero uno sooner rather than later with a little SEO magic? You have in fact touched upon a solid foundation (quality content, gradual links and link velocity and trust) all perfect under the right circumstances. My only contention is that structure established in the beginning and implemented on the level of the template, internal links and settings can save you months of anguish when coupled with the appropriate content development strategy. I know I have the tendency to get a bit geeky, but the essence is that cracking competitive keyword verticals is really the only thing we have ever focused on. Our tactics work with keywords with hundreds of millions of competing pages, which makes them a different animal by nature. The top 10 is nice, but the top 3 or #1 is a whole other level of traffic and click through ratios; and if you ever want to get and stay there, it requires a different tact. I would say, keep chipping away until you get stuck in the 20’s for a particular keyword, then perhaps we can use your situation as a case study and shed some insight on ways to move past a position when your website plateaus in the search engine result pages. I loved that post!! GREAT!! !